The fastest long haul LTL. Impossible? Not with Daylight. For your long haul LTL shipments, we can be as fast as air, at standard LTL rates. Our normal is what other carriers call expedited. Your long haul freight gets there 2-3 days sooner. Consistently. Safely. Daylight has been redefining what’s possible ever since we started in 1977. We were the first with direct loading and two-driver teams that never stop. It’s all in our unique business model, built to deliver your shipment fast, complete and without damage. 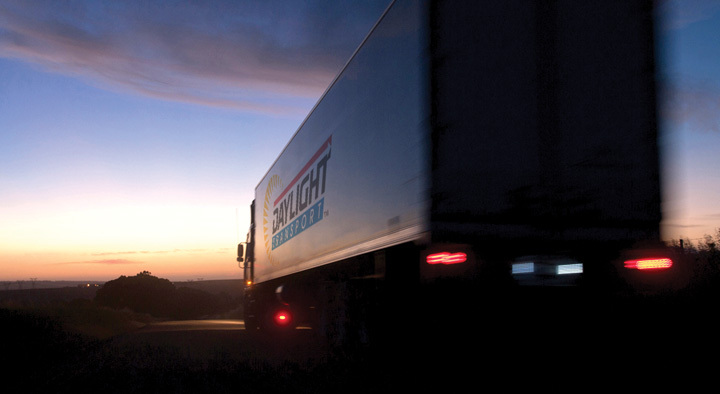 With Daylight, your shipment is loaded direct to its destination. Carriers with the typical hub-and-spoke networks are slower and risk damage during transfers. We eliminate handling and save time with our innovative and efficient operating model. QC supervisors who take the initiative to cushion your shipment with airbags for safe transit. Experts who design “Just-in-Time LTL®” solutions for your supply chain. From desk to dock, Daylight people are passionate about going the extra mile. Anticipating. Learning about your business. Helping. Improving. Fine-tuning our performance. It’s a personal thing. It’s also how we measure ourselves. Your success is our success. A leading LTL carrier with the resources of a big company, we’re small enough to be flexible. Other carriers make you fit into their box. Not us. We do things your way – and your customer’s way. We call it Made-to-Order LTL®. We customize solutions and find ways to say yes. Your company’s top management will be amazed at how much we do to help optimize your supply chain, boost your customer service, speed up cash flow, and deliver strategic savings. We do a lot more than you’d expect from an LTL trucking company. Got your own tractor? We’ve got the freight, loaded and ready. We’re 100% drop and hook and 100% power only, with a state-of-the-art trailing fleet that we maintain. Pick your own team driver and drive. DAYLIGHT TRANSPORT – 1501 Hughes Way, Suite 200, Long Beach, CA 90810.